We brought along a giant Lego model of the Extremely Large Telescope along with the infrared camera and discharge lamps to discuss multi-wavelength astronomy and spectra. Over the course of the session 20 clients came over to ask questions and discuss the demonstrations. The Extremely Large Telescope was of particular interest and sparked lots of stimulating conversations about what the instrument is likely to discover. The session was included in a programme of activities at O’Hanlon House designed to empower clients in difficult circumstances. The team from O’Hanlon House have since been in touch to tell us that our session must have had real positive impact on some of their residents as they have requested we return for a follow-up session. 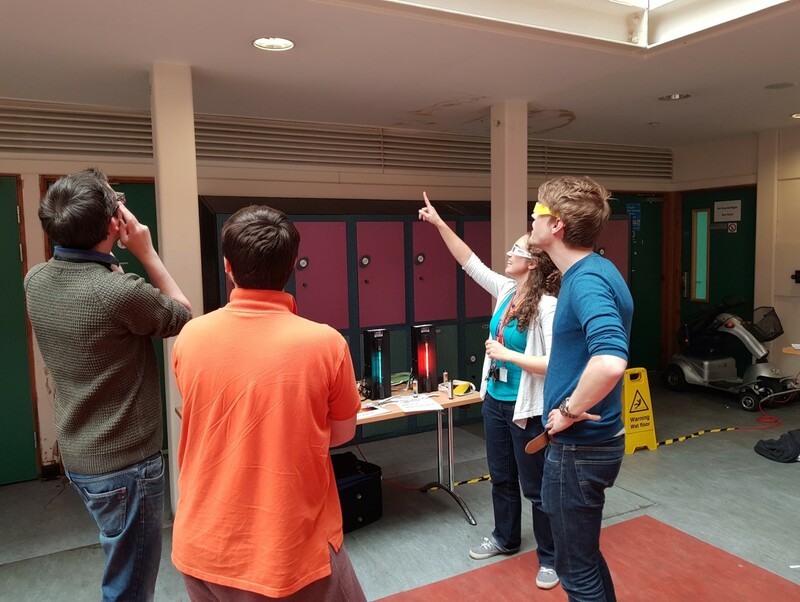 This was part of our Stargazing+ programme to engage under-served audiences with space-related research. We hope to continue to build our links with O’Hanlon House and are currently planning our next activity. Thank you to Dr James Matthews, Dr Adam Ingram, Leanne O'Donnell, Dr Kathryn Boast, Darsh Kodwani and Dr Sian Tedaldi for their involvement.